The Matthews strives to keep ticket prices low in order to give access to the widest possible audience while maintaining the highest professional standards. To purchase Subscription Series tickets, click here. Don’t worry. Just call us at 605.642.7973 and we will reprint your ticket and hold it for you at Will Call. We will also reprint your ticket at the box office the night of the event, but if possible, call us first (before 5 p.m.). Sometimes the box office lines get long and we would like to avoid delays. If you are in a group, it helps if we can get your seat number. If you don’t have it, just let us know the name of the person who bought the tickets, and we’ll handle the rest. We process our new subscribers in the order in which they are received. New subscribers will be seated following our renewing subscribers. Patrons who buy our Subscription Season tickets also receive adult ticket discounts on other non-subscription events automatically. Whether buying your non-season event ticket online or through our box office, the discount will be applied automatically. All ticket sales are final and non-refundable. If you are unable to attend a show that you have a ticket for, feel free to give it to any of your friends or family. They are transferable. In the event that a performance is cancelled, all tickets will be refunded right away. 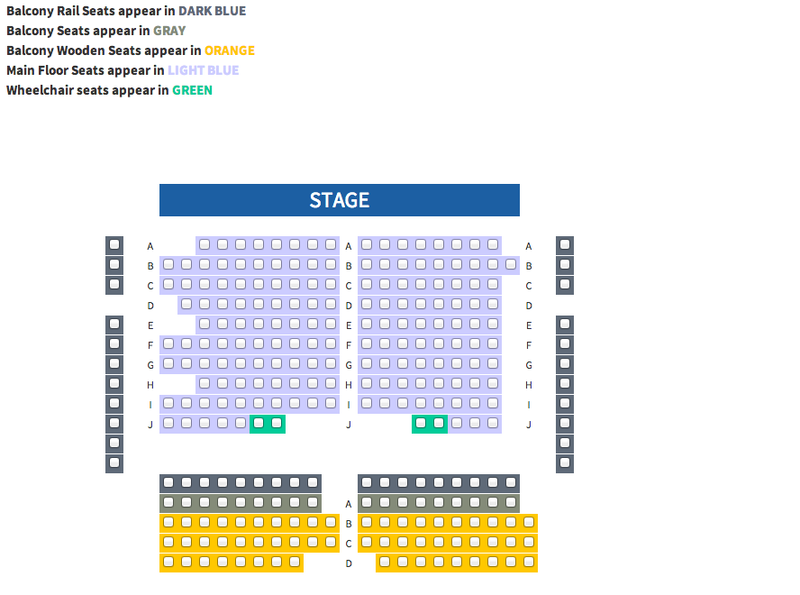 When purchasing tickets online, you will be able to select your seats through our interactive seating chart. Just below, is a view of our seating chart. Every ticket you purchase will give you the chance to select and reserve your seat(s).